Savannah Georgia general contractor American Craftsman Renovations services the Ford Plantation, Richmond Hill city outside of Savannah Georgia offering professional bathroom remodeling services to homeowners. Enhance your master bath or guest bath with new vanities, a new shower and tub, or custom storage solutions. If you can think it, we can build it! Let us transform your bathroom today to bring your vision for your space to life. Many homeowners want to create a space that they will love using each and everyday. 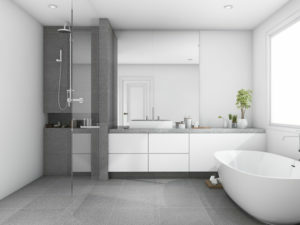 Moreover, having a bathroom that really meets your wants and needs can not only help improve your quality of life, but a recently remodeled bathroom will also increase the value of your property. Have questions? Make sure you give us a call. We love working with our local Savannah neighbors to help them breathe new life into their Ford Plantation Richmond Hill home.